Pleats please we said and so here they are. Adding the right touch of edge and elegance to many midi skirts and dresses. 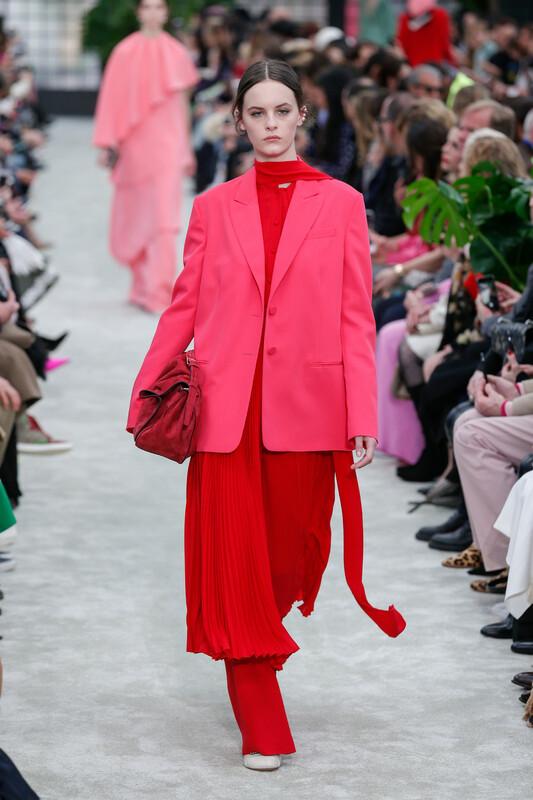 Like the Valentino red dress (worn over matching pants) at, you guessed it, Valentino. 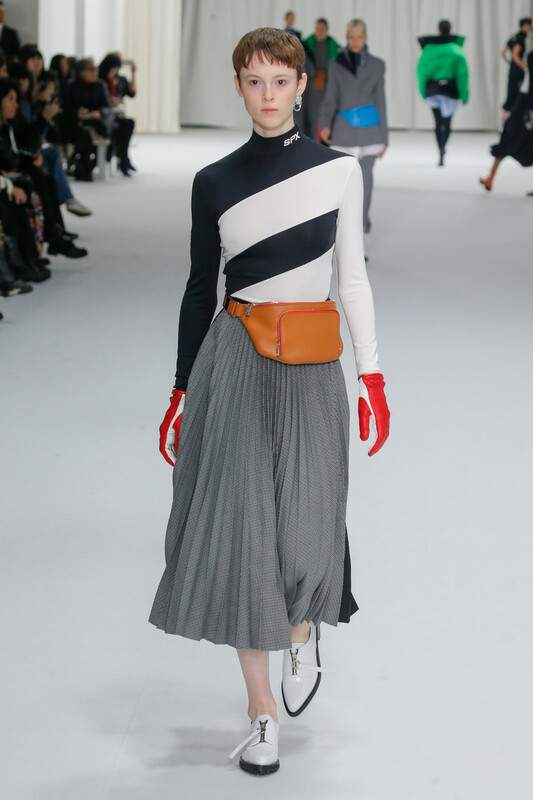 Like the gray midi skirt that Sportmax gracefully gave a sporty touch in the form of a tight top, waist belts and a pair of gloves. 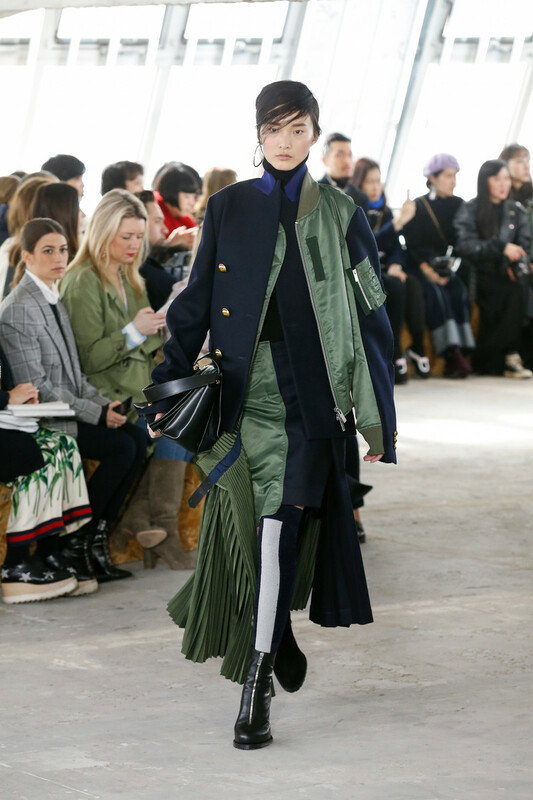 Like the army green colored pleated detail that was part of a extremely mixed look at Sacai. 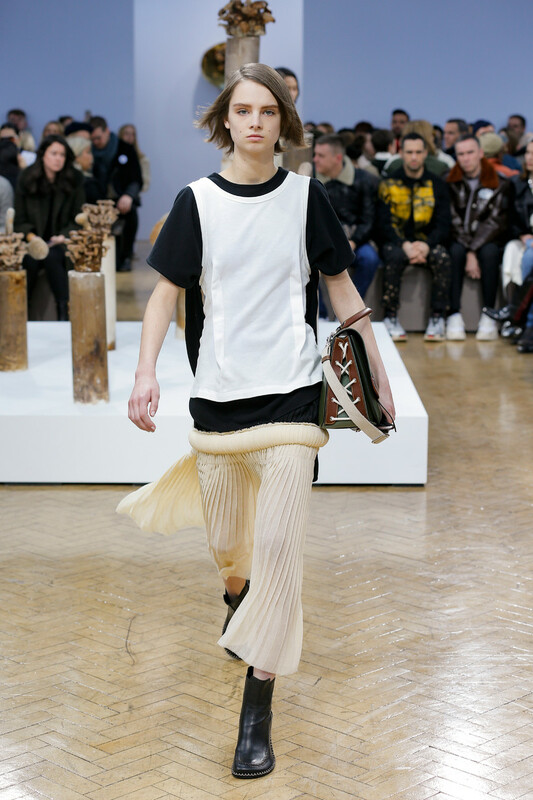 Like the pleats that gave a sheer Lanvin dress just the right little extra. And like a pink pleated Balenciaga skirt we’d love to wear every day coming fall. Keep it sporty, keep it funky, keep it fresh. And stay away from the classic pleats + blouses combination. Pleats are back (if they ever were absent) and here to give your autumn wardrobe that extra wow factor it deserves.